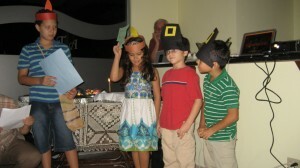 Our friends invited us to participate in a Thanksgiving feast. It was a week early, but that was not of any import. The celebration of a uniquely American holiday with 24 friends from 9 different countries meant a great deal to our family. We are a few thousand miles away from our immediate family where for years we’d gather around a common table. To be welcomed into a new local family is indeed an honor. 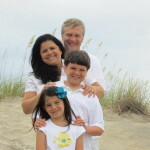 Our host family had lived in the United States for a few years and grew to like and understand the significance of an American Thanksgiving dinner. Even though they no longer live in the states, it is a holiday they choose to celebrate. We have noticed that many churches have adopted the holiday as a day of thankfulness to God for the blessings of the year. 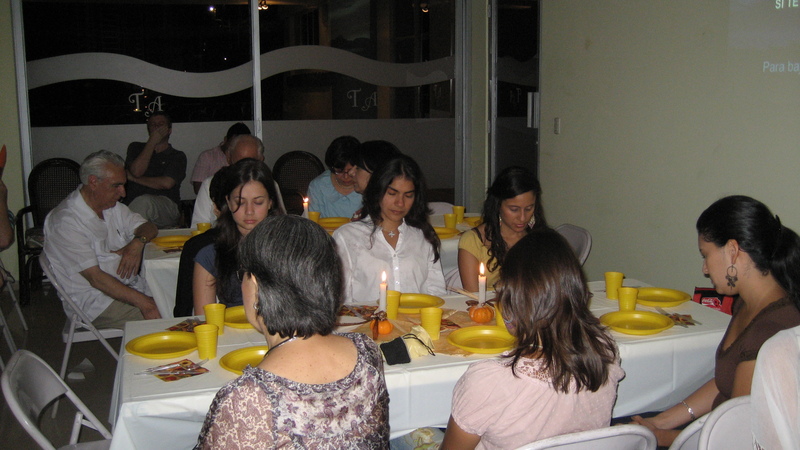 While it is not a holiday that involves a 4 day weekend as it is in the US, some churches have had special feasts and banquets. 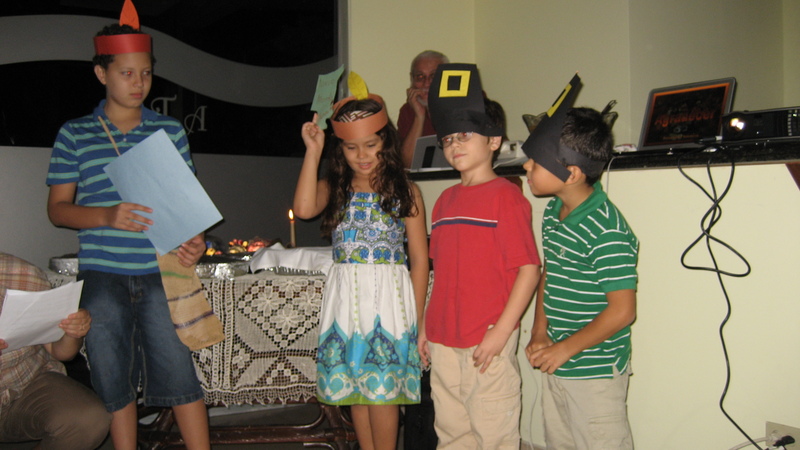 Brenda organized the children to do a little drama that told the story of an American Thanksgiving. She made crafts for cornstalks, pilgrim hats, and plates full of food. They were awesome ideas. We enjoyed a big turkey, pumpkin pie, as well as some green bean casserole and corn. One thing we do miss from the US is silver queen corn. There is no replacing that sweetness with local corn. The fellowship around the table was fantastic. Nine different nationalities. One of the blessings of being in this country is that it is also a national melting pot of immigrants. While Spanish is the common language, many come to Panama in search of a better future — economic and social. There is lots of economic opportunity in this country, even in the midst of such extreme poverty. To see the full photo album (23 photos), visit our Facebook Photo Album.